For this post we again welcome Jay Erisman, our favorite instructor from The Party Source EQ Center and quite the wine and spirits expert. This is actually part 2 of a 2-part Mexican adventure he took in 2007 (part 1). Tequila country did not prepare me for the Del Maguey Single Village Mezcal producers in Oaxaca. Del Maguey mastermind Ron Cooper took me on a four day tour of Oaxaca. From village markets where we feasted on things like pit roasted goat (and—bonus!—the blood of the goat, cooked in the stomach with mint, swear I’m not making this up), to cutting edge restaurants in Oaxaca City, I was immersed in the most vibrant, colorful culture I’ve ever experienced. I was acquainted with the traditional production methods used by such Mezcal masters as Paciano Cruz Nolasco of San Luis del Rio. To actually see these distilleries operate with technology that was virtually pre-industrial was totally amazing. 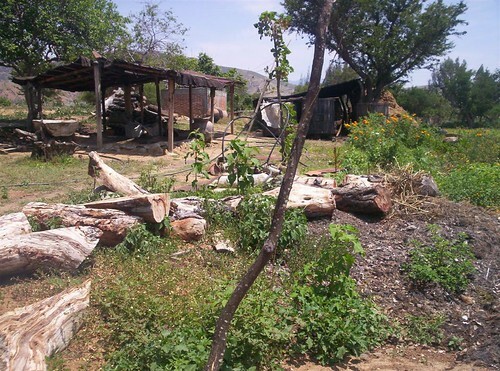 The techniques are positively pre-industrial, such as roasting the maguey in an earthen pit of smoldering wood and hot rocks for up to three weeks, and crushing the cooked plants with a mule-powered stone. Señor Nolasco harvests maguey plants (a relative of the blue agave used for Tequila) from very high hills, in his very high village, at the end of a very bad road. (Paciano is a Mezcal maker, a palenquero, but this generous, forward-thinking man is training his daughter to become a palenquera, possibly the first female Mezcal distiller.) 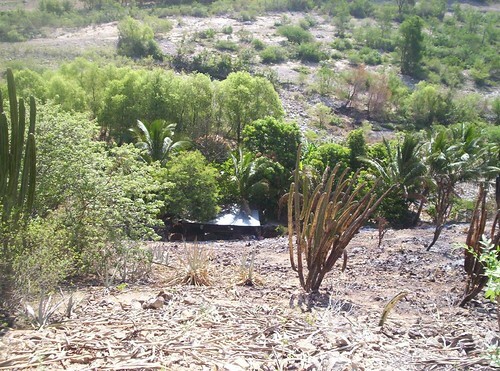 The term “rustic” does not do justice to his distillery, hugging the dusty banks of the rio amidst a cluster of banana trees, vines and lizards. His Mezcal might offer the single most complex aroma of any spirit I sell, a kaleidoscope of smoky earth, pineapple fruits and mountain herbs, citrus leaves and rinds, black and white pepper and more. Nosing a glass of San Luis is like approaching the event horizon of a black hole; inevitably, it pulls you in, and you’re done for. In the village of Minero, Florencio Sarmiento uses two stills made of clay and bamboo from a unique design of ancient Chinese origin. 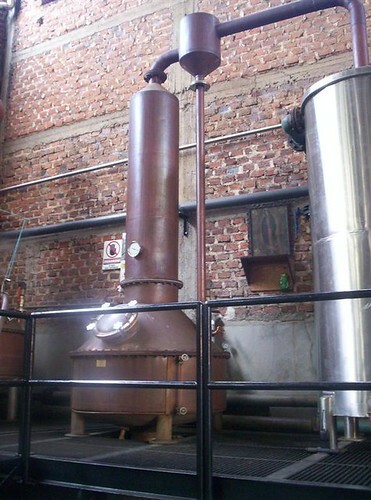 Florencio’s distillery is also the only one I saw that used electricity, with a small pump circulating cold water to the internal condenser bowls in his far-out stills. The resulting Mezcal cuts across the palate like a lightsaber, with a breathtaking citrus intensity. Like El Tesoro, all Del Maguey Mezcals are 100% natural with no added flavors or chemicals used in production/ On top of that, these Mezcals possess full organic certification. 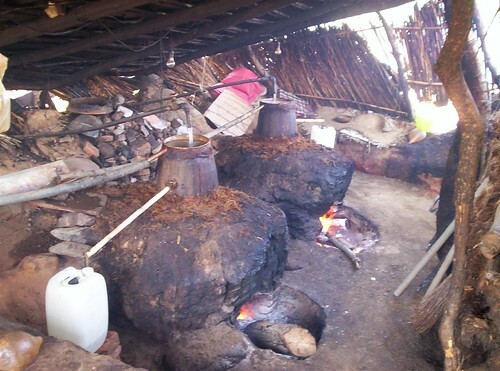 Having been there, I can better appreciate where the potent, smoky flavor of these Mezcals comes from. If they are drop for drop the most intensely flavored spirits in The Party Source, surely that reflects the rugged land—and the hand of the maker—from which they spring. View part 1 of the Mexican adventure – Tequila. For this post we welcome Jay Erisman, our favorite instructor from The Party Source EQ Center and quite the wine and spirits expert. This is actually part 1 of a 2-party Mexican adventure (part 2 appears tomorrow). My 2007 tour of Mexico will last forever as one of the great cultural experiences of my life, filled with warm and friendly people, fantastic food and a colorful aesthetic sensibility everywhere we turned. But for sure the highlights of the trip were the distilleries. From finding the flat-out Best Tequila Distillery to mind-bending tours of four single village Mezcal producers, I found the state of this Mexican art to be perhaps the most traditional of all the spirits in the world. Shortly after meeting Carlos Camarena*, I decided he is a really cool guy. 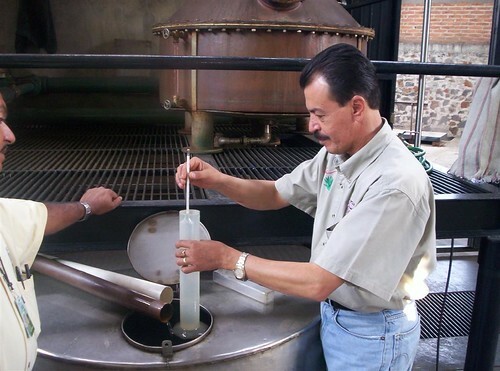 The passion he holds for his ultra-traditional El Tesoro 100% Agave Tequila comes burning off him like the steam that fires his old-fashioned agave ovens. Working the La Alteña distillery in his father Don Felipe’s footsteps, Carlos does things with Tequila that other distillers would consider insane. 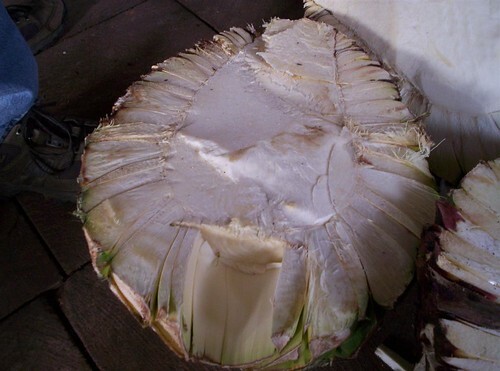 Carlos’ estate-grown blue agave plants are the ripest in the industry, covered with brown spots like a banana. 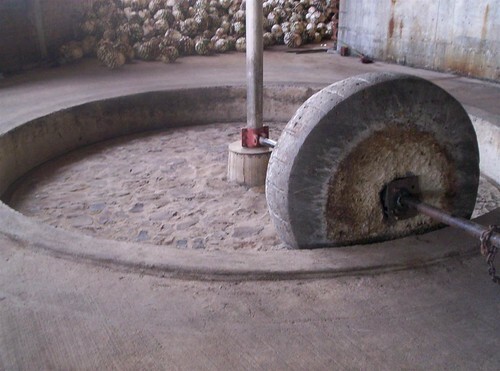 He persists in crushing the cooked agave—which are baked three days in brick ovens—with a giant millstone (as opposed to a modern mechanical shredder). 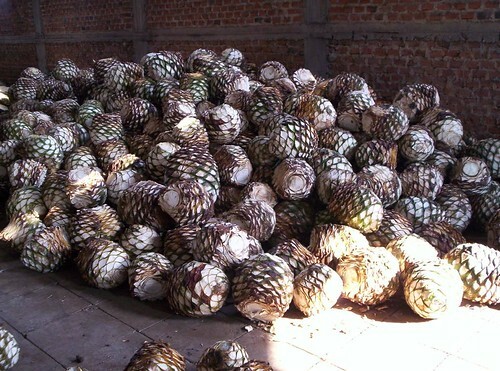 Unlike nearly all other Tequila producers, Señor Camarena ferments his agave totally naturally, with no added chemical fermentation accelerators. He then distills the fermented juice with the agave fibers for added flavor, in pot stills so small they could fit in the back of a van. All this obsessive attention to detail leads to the most flavorful Tequila I’ve ever had, bar none. El Tesoro has a crackling intensity, a sustain, a hang-time in the mouth that simply outclasses other Tequilas. You don’t just get stony, mineral, earthy flavors—you get a faceplant into the red highland Tequila soil. You don’t just taste green bean—you get the snap of the bean, the juice of cucumber. The difference between El Tesoro and other Tequilas is like the difference between normal and high-definition TV. The operative word is clarity. *I’m pleased to say there is another Camarena-crafted Tequila on the market. (No, not the “Camarena” brand owned by Gallo; that’s made by Carlo’s cousin from another branch of the family.) Carlos’ brother Felipe joined forces with a Tequila ambassador Tomas Estes to create Tequila Ocho, which takes the Camarena family estate-grown agave to its logical conclusion. Ocho is a single vintage Tequila, chosen each year from only one agave field. Ocho reveals the terroir of an agave field very much like the cru system in Burgundy reveals the truth of Pinot Noir. I’ll write more about Ocho another time, but suffice to say that Felipe’s Ocho surpasses even Carlo’s El Tesoro, with the fattest, ripest, most glisteningly fresh and viscerally thrilling Tequila I’ve ever had. Want to know more about Mezcal? Tune in tomorrow morning for the conclusion of Jay’s adventure and a primer on Mezcal. This is the one of several posts from David Lazarus about the intricacies of opening and running a wine shop. David owns and runs Water Tower Fine Wines in Mount Washington. It has been some time since I have updated our travels through the start up of a new wine store. Well, a lot has gone on through the last several months. We have ironed out the glitches in our Point of Sale system for the most part. The store has been operating fairly smoothly and we have had fantastic turnout for our Friday night tastings. We have officially started up Saturday afternoon tastings and we are beginning to see attendance increase at those tastings. We have held several Premium Tastings, that we have moved to Monday night. These have been well attended and give a more intimate group a chance to sample a more focused selection of wines. This Month we will be sampling six single vineyard Pinot Noirs from Merry Edwards. We have had two successful Sparkling Brunches, the first sampling 8 grower champagnes and the second eight Franciacorta Sparkler. We have been learning a lot from our customers. Our selection has more than doubled to just over 1300 different wines, including more than 140 sparkling wines , 50 Rose’ (no white zinfandel) and almost sixty Rieslings. We have made an effort to carry wines that may not be found elsewhere. We have been lucky enough to be able to offer dozens of distributor closeouts, some as much as fifty percent off of retail. My wife, Jan, has repeatedly come up with great dishes to pair with the wines tasted. I have had the opportunity to sample some fantastic wines from all over the world, which gives me a greater knowledge base to assist our customers in selecting the right wine. Our redecorating and improvement of our building is almost complete. We have achieved the homey atmosphere we wanted with our cozy tasting areas which can seat nearly sixty people. Our web site is fully operational and offers a calendar of our tastings. We have fine tuned our weekly e-mails that can be signed up for through our web site. We have seen solid growth since the first of the year. With the coming of summer we look forward to being able to better use our shaded deck and try some new ideas for tastings. We welcome input from you, what are we doing right and what are we doing wrong. Most importantly we have been thrilled with the loyal following we have developed in just under eight months. Please do not hesitate to contact us with any questions you may have or any wines you are having trouble locating. 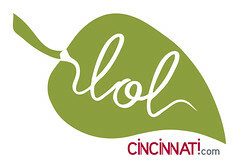 Amy Storer-Scalia, a fellow Cincinnati.com blogger, runs Cincy Chic. They are hosting a charitable event (with wine!) on the Purple People Bridge on Friday. The Purple People Bridge will soon transform into a runway for a fun, fashionable and philanthropic event! “Red Pink and Blue” (RPB), produced by Cincy Chic and Locals on Living, is a women’s health awareness event with a fashionable twist. The “Red” represents heart health, the “Pink” represents breast health and the “Blue” represents diabetes health. The three organizations benefiting from this event are the American Heart Association, Pink Ribbon Girls and the American Diabetes Association. RPB will take place on Friday June 25 on the Kentucky landing of the Purple People Bridge. Come out and enjoy an evening on the bridge with food, drinks, shopping and a fashion show. Also check out the St. Elizabeth Healthcare mammography van and get a complimentary blood pressure check. The event will start at 6:30p.m., the fashion show will begin at 9p.m., and the After Party kicks off at Star Lanes on the Levee at 10:30p.m. Buy your tickets today! It’s $15 per person, and 100% of the proceeds* go to the three participating philanthropies. First 200 attendees will receive a swag bag full of goodies! Buy your tickets online – last year the event sold out, so don’t delay! And since this is a wine aficionado blog, below is more information about the wines that’ll be featured at our event. Hope to see you there! Ruby-like, bright in color Fruit forward with red plum and varietal characteristics Medium dry, medium body and harmonious with a good finish This wine marries two of the classic Bordeaux grape varieties: Cabernet Sauvignon offers character, complexity and longevity, while Merlot adds softer tannins and elegance, patterned after the same classic blend that distinguishes many fine chateaux of Bordeaux. This Cabernet Sauvignon is complex with various layers of spice and flavors. On the nose you will find enticing aromas of black cherry, blackberry, cassis and vanilla with evident spice from the oak and a hint of herbs. Tasting delivers a multi-layered wine with texture of ripe blackberry, mocha, toffee and vanilla. Medium firm tannins provide structure and balance to this medium bodied Cabernet, which will continue to evolve in the bottle. Pale yellow in color with greenish reflections. The nose is reminiscent of acacia flowers and the delicate scent of almonds. Clean and refreshing on the palate with hints of linden and honey. Lemony nose in dry flavor with a hint of smokiness. The nose was filled with red raspberry and cherry, along with some nice dirty earth aromas. The palate was fruity ripe strawberry, more of the raspberry, along with some subtle herb and earthy forest floor notes. This wine comes from languedoc, Ruby color, intense, fruity and soft. One of my dearest friends picked up and moved to San Francisco a few years back. I hate that she’s gone, but it does mean I get to visit with her when I’m in the City by the Bay and I even get to cajole her into the occasional guest post. Jen Rizzo is a great freelance graphic artist (she did the logo and such over at the Hoperatives) and is quite the foodie. 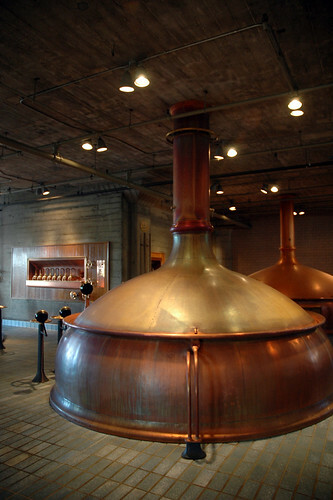 In this post, she’s filling us in on her recent tour of Anchor Steam Brewery. I have always been a big believer in drinking locally. It’s just better. You’re supporting local businesses and decreasing your carbon footprint. Even above those two very important things, it connects you to the local flavor and allows you to explore some new options. If I’m in a new city, I always want to know what their local craft beer is like. I’m originally from Kansas City, where we have the lovely Boulevard brewery. It is probably surprising to no one that a brewery out of Kansas City specializes in wheat beer – but you can find it everywhere. The most divey of all dive bars will at least have bottles of Boulevard Wheat. When I lived in Cincinnati, I threw down Bell’s like it was candy. (The Two-Hearted and Oberon were my favorites, but I try to not discriminate.) And, of course, I had the pleasure of living in New York during the winter, so I had my share of Brooklyn Black, which is still among my favorite reasons to travel east during the holiday season. Here in San Francisco, we are incredibly spoiled with the Anchor Steam Brewery. 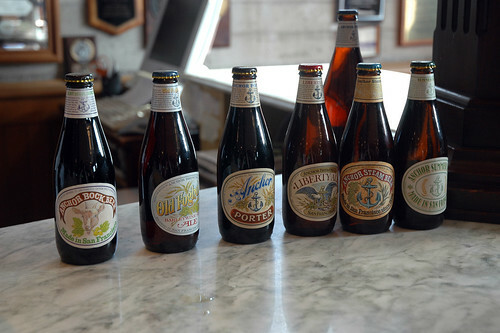 The Anchor Brewing Company first opened its doors in 1896, and was purchased by Fritz Maytag in 1965. He learned west coast beer from the ground up, and eventually settled on the brews we have today. Recently, Fritz sold the brewery to a holding company a few miles north of San Francisco (owned by two former Skyy vodka representatives), which sent our beer world into a little bit of a panic. Fritz Maytag is greatly respected for his accomplishments in craft brewing, and a lot of us are on the edge of our seats anticipating what comes next. When a friend told me she had an extra ticket to an Anchor tour, I jumped at the chance. 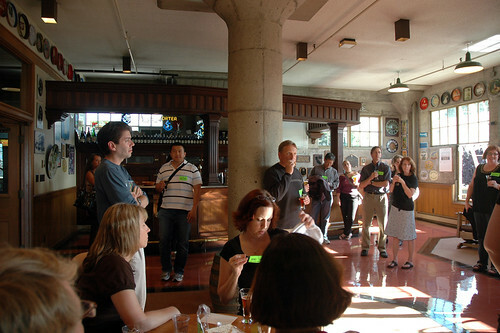 The Bay Area Beer Socials group takes this specially-organized after-hours tour once a year, but the organizer fears that this may be the last year for it due to the brewery changing hands. “Steam” beer was originally a term used to describe west coast brews, but is now a trademark of the Anchor Brewing Company. 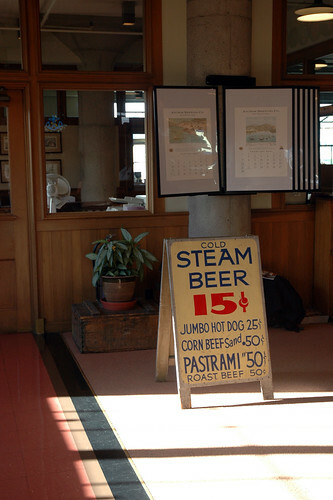 There are many stories about where the name “steam beer” came from. 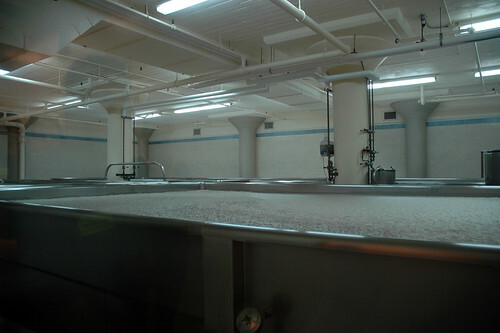 My favorite is that around the turn of the century, there was no way to effectively chill the beer after boiling, so San Francisco breweries had large, shallow, open-top tanks on the roof to allow the climate to cool it naturally. 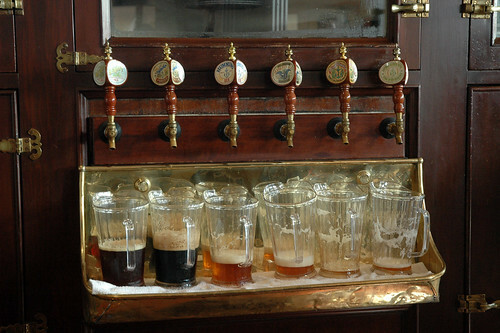 When beer was being brewed, clouds of steam rose off the top of the buildings – hence, steam beer! The beer sits in these tanks for three days, at which point it’s nearly flat. It’s combined later at about an 85/15 ratio with beer that’s only sat there for one day and isn’t quite done, so it balances out in the end. Liberty Ale is like Anchor Steam’s big brother. A little hoppier, a little richer, a little higher in alcohol content. (6%, compared to Anchor Steam’s 4.9%.) Its name honors Paul Revere’s bicentennial ride, but the recipe stems from older variations of Our Special Ale, their winter seasonal. Anchor Porter is their darkest offering. Dark, rich and roasty with a hoppy back to it, it’s one of my favorite porters. Not too malty, not too smoky. Old Foghorn is a barleywine-style ale. A little lower in alcohol content than most barleywines, at 8-10% (Anchor claims it varies), it’s still the heftiest of the Anchor brews. A little sweet, incredibly rich, and a little bubbly. On draft, it’s particularly lovely, but it holds up pretty well in its bottled version. If the Liberty Ale is Anchor Steam‘s big brother, Anchor Small Beer is Old Foghorn’s little brother. At a teeny tiny 3.3%, it’s created from a second running of the mash used to make Old Foghorn. Even though they come from the same place, they couldn’t taste more different. Small Beer is light, but rich, and takes on a much more bitter flavor than any of Anchor’s other beers. Anchor makes four seasonals – Our Special Ale, their winter offering, Anchor Bock, for spring, Anchor Summer, and the newest addition, Anchor Humming. Humming Ale was originally created last year to honor the 30th anniversary of the current location. Bars in San Francisco snatched up what they could, since it was intended to be a limited run. About the time that everyone was running out of it, Anchor announced that they would be bottling it as their new autumn seasonal.